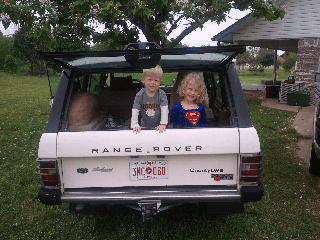 My grand kids were knocking around inside the Range Rover this weekend. In between the expected “look at me Paw-paw’s” I caught them looking out the back. The good news is they didn’t break anything. Nothing on the Rover and nothing on themselves. The inside of the Range Rover isn’t exactly “kid friendly”. We all go to great lengths to child proof our houses. How do you child proof a Range Rover with a machete and tactical entrenching tool bouncing around in the boot? Not to mention a bag full of tools that will either poke you, cut you, or scratch you, if you don’t pay attention. I left fate in God’s hands and told them not to touch anything. I mean, it worked for you and I right? Wink, wink. 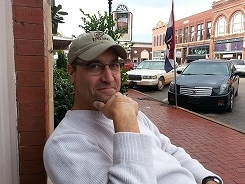 This entry was posted in grand children, Range Rover, tools. Bookmark the permalink.